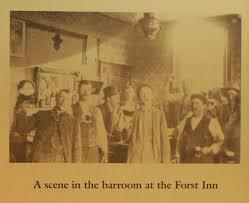 The Forst Inn (not to be confused with the Red Forest Bed and Breakfast) located in Tisch Mills, WI about 10 miles north of Two Rivers, WI was originally owned by the Forst family from 1868 until 1990. Once a popular bar and dance hall in the early 1900’s, this historic building was converted to a quaint sandwich theater in 1990 where it hosted popular theater and musical productions until 2014. The Forst Inn has since re-opened under the direction of Michael Sheeks and Catherine Egger, where the venue presents a wide range of theatrical, musical and cultlural events throughout the year. Tickets include table seating with appetizer buffet and dessert. Check out their website at www.forstinn.com for a complete listing of scheduled performances.